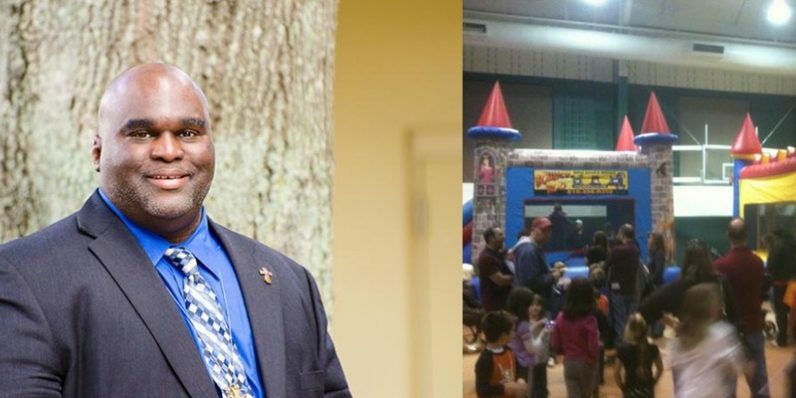 Deacon Harold Burke-Sivers is one of the keynote speakers at the Family Fully Alive Festival April 30 at St. Joseph Parish in Downingtown. The all-day event will also feature games for children, among a full slate of activities for everyone in the family. Think of it as an echo of the 2015 World Meeting of Families in Philadelphia, without the security checkpoints. On Sunday, April 30 from noon until 5 p.m. there will be a Family Fully Alive Festival at St. Joseph Parish in Downingtown complete with speakers, exhibitors, refreshments and activities and entertainment for the kids. And because it is a Catholic festival there will also be an opening and closing Mass, plus confessions. The prime sponsors for the event are St. Joseph Parish, Rev. William J. Fenerty Council 7208 of the Knights of Columbus and Relevant Radio 640 AM. “I’m very pleased that the parish family and the Knights of Columbus are emphasizing the importance of family life and recognizing how important that is and central to our faith,” said Msgr. Joseph McLoone, pastor of St. Joseph’s and chaplain for Fenerty Council. When it was first proposed, Msgr. McLoone suggested waiting a bit, and that was good advice. Through long-range planning the event is growing to the point where now it is expected to draw people from well beyond the boundaries of St. Joseph Parish, which itself has one of Chester County’s largest Catholic populations. Other speakers on various topics will include Augustinian Father Dennis Wilde, Kevin Burke, Joseph Gale, Dr. Antoine Raymundo, Dr. Aaron Chambers and Peggy Gottschall. While the adults attend sessions there will be break-out presenters for middle school and high school kids, and the younger children can enjoy supervised play including bounce houses, slides, an obstacle course and arts and crafts. If a number of the speakers have special expertise on the life issues, it should not be a surprise because Family Fully Alive Festival really has its genesis in the pro-life movement in St. Joseph Parish and Fenerty Council. It traces back to 2015 when the council raised funds to finance buses from St. Joseph’s to Washington, D.C., for the January 2016 March for Life. Junod and his wife Cristina, along with their children, attended the World Meeting of Families in Philadelphia and were so impressed by the experience he suggested using the refund as seed money to bring a taste of the World Meeting to St. Joseph Parish. What’s a festival without exhibitors? So far more than 25 have been lined up, including among others, AbbeyFest Ministries, Christian Bling, Pauline Books and Media, EWTN and CatholicPhilly.com. Admission for the speaking sessions is $10 (if ordered online there is a small processing fee). There is no charge for children under 18, and refreshments will be available for a moderate price. One thing can be safely guaranteed – there will be no blizzard.